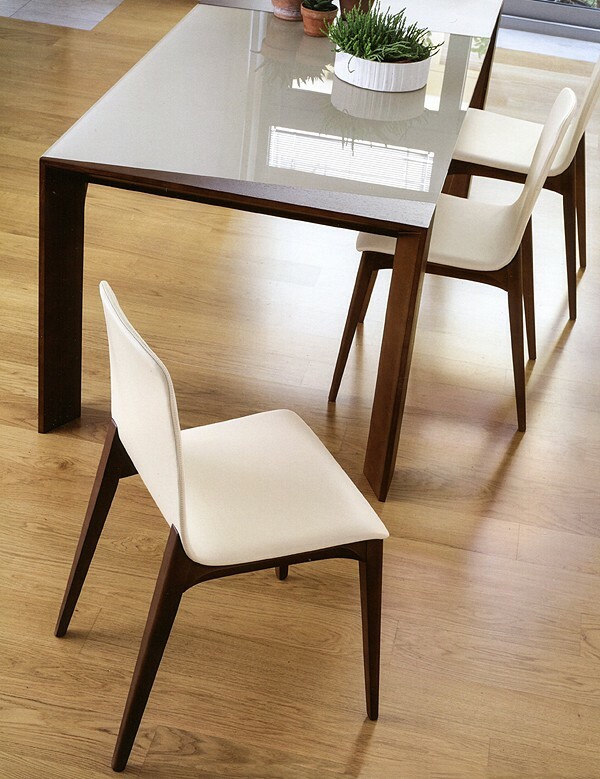 A stunning modern dining chair with solid wood legs and a curved upholstered seat. 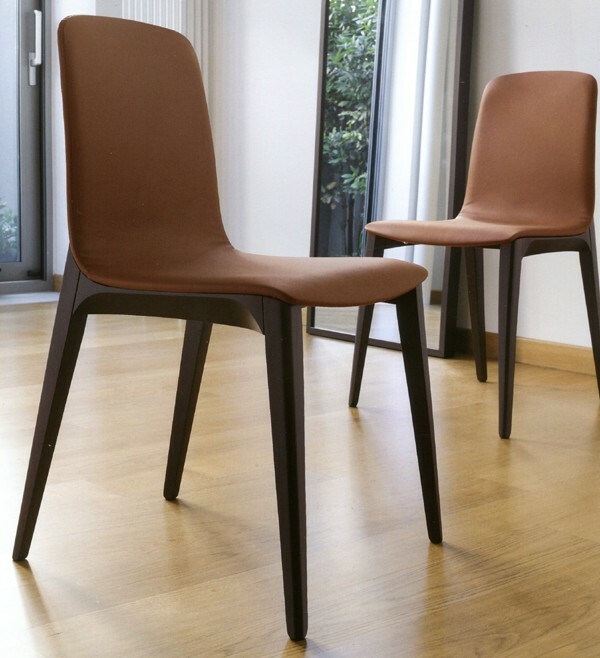 The legs are available with a dark oak or tobacco oak finish, or matt lacquered in a range of colors. 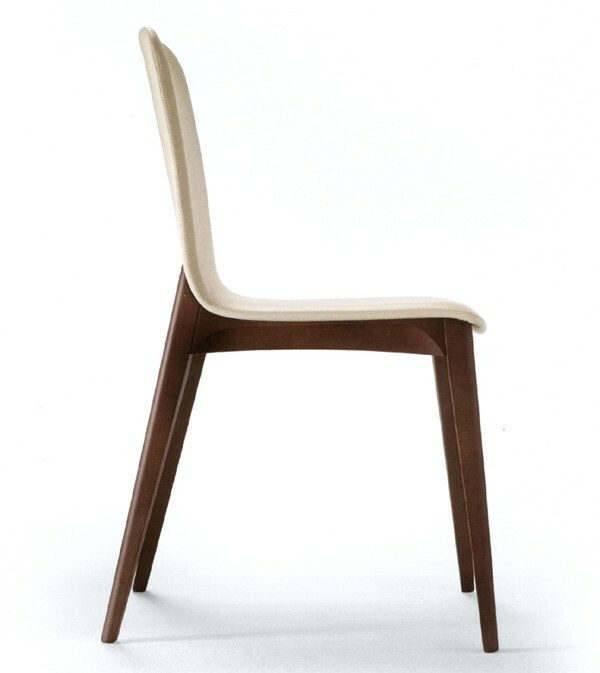 See sample links below for all wood/fabric/leather options.